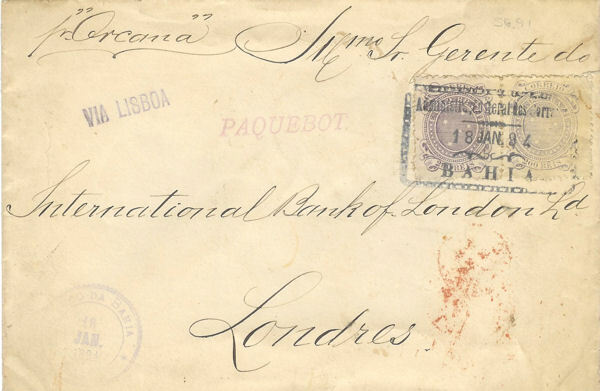 Posted on board the Pacific Steam Navigation Line's S.S.ORCOMA from Bahia on 18th January to London, where it received a paquebot cancel dated 6th February, 1894. This is probably one of the earliest known paquebot covers. Tabeart type PAQ.1a (Hosking fig 66).